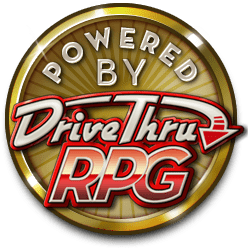 For GMs in need! When you need a PC right now, “The Emergency Character Collection” comes to your rescue—whether you had a PC perish mid-adventure, a friend drop in for your game, or just want a stable of fully-statted NPCs. “The Emergency Character Collection” includes thirteen detailed characters, each ready to play with printable character sheets for levels 1, 3, 6, and 9. Each complete PC comes with an illustration, roleplaying hooks, design notes, quick customization tips for different campaign types, interesting variants, and an in-game justification for appearing right on scene, right when you need it. “The Emergency Character Collection” contains a daring half-elf bard, a jolly dwarf cleric, a roc-riding halfling druid, a bow-wielding elf fighter, a boisterous dwarf gunslinger, a surly tiefling magus, an honorable half-orc monk under a vow of poverty, a zealous human oracle of battle, an inquisitive catfolk paladin, a shrewd human urban ranger, an impetuous halfling rogue, a gregarious gnome sorcerer, and a fey-haunted elf witch. With character sheets for each of four different levels, you have 52 ready-to-go PCs. Just print and play! “The Emergency Character Collection” is written by Ron Lundeen, with art by Marco Morte and Blake Wilkie.